Quadrant Shower Trays (Design of tray shown in white) Trays made to order (please call or send colour sample if unsure of colour) Please specify front or back when placing your order for the 800 or 900 tray. Coloured Bathrooms are one of the largest suppliers of discontinued and coloured bathroom equipment in the UK. We stock over 20,000 items in over 90 different colours including two tone and decorations. 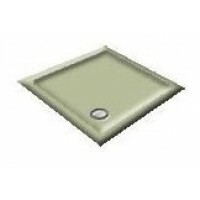 Including coloured baths, panels, basins, toilets, coloured seats, shower trays etc. We also specialise in products by Armitage Shanks, Ideal Standard, Royal Doulton, Twyfords, Selles, Chatsworth, Trent, Shires, Qualitas, Jacob Delaphon, Spring bathrooms, Balterley, Fordham, Johnson Brothers and many more. We deliver Nationwide to homes and businesses and work with a number of leading insurance companies. You may email us direct using the below email address or simply complete our online enquiry form. Please contact us by phone if you have queries. copy; 2018 Coloured Bathrooms. All Rights Reserved.